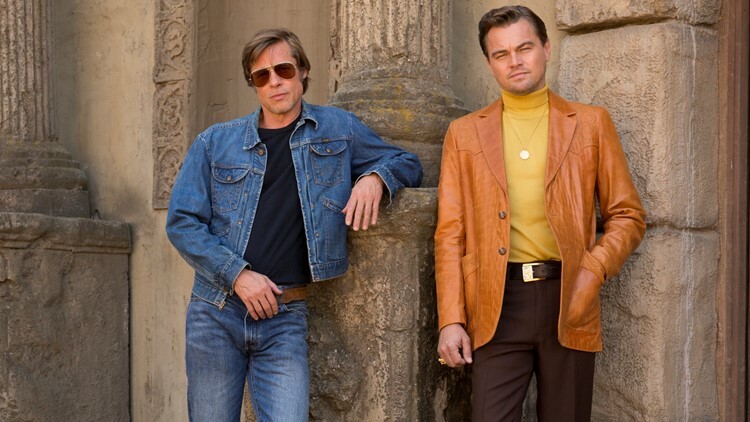 Brad Pitt and Leonardo DiCaprio star in Columbia Pictures “Once Upon a Time in Hollywood"
The film will hit theaters July 26, after premiering at the Cannes film festival. Sony has dropped its first teaser trailer for Quentin Tarantino's "Once Upon a Time in Hollywood." The highly anticipated film starring Leonardo DiCaprio as actor Rick Dalton and Brad Pitt as his stunt double Cliff Booth will be released July 26. The film is set in an iconic era for Hollywood: the 1960s. The project has been a long time in the making for Tarantino, who was inspired by his own life growing up in Los Angeles. "I’ve been working on this script for five years, as well as living in Los Angeles County most of my life, including in 1969, when I was seven years old," said Tarantino in a press release from Sony Pictures. "I’m very excited to tell this story of an LA and a Hollywood that don’t exist anymore. And I couldn’t be happier about the dynamic teaming of DiCaprio & Pitt as Rick & Cliff." 1969 saw the rise of Charles Manson's cult. The group killed five people in two days. In the film, Margot Robbie plays Sharon Tate, a pregnant actress killed in the Manson murders. Damon Herriman plays Charles Manson. Other members of the star studded cast include the late Luke Perry, Damian Lewis, Dakota Fanning and Duke Dern. Tarantino will write, direct and co-produce the film. This is Tarantino's ninth film. The filmmaker has said he would retire after ten. Watch the teaser trailer here. Disclaimer: The trailer features some profanity.